Offline Google Maps are nothing new as users have been allowed to download maps of entire countries in their mobile devices in order to peruse them at their leisure. Navigating with Google Maps, however, has traditionally required an active internet connection so that the company can tap into all that continuously updating information including traffic data, road blocks and more. All that changed with a recent update to the service that now allows users to navigate maps offline, with some limitations. Note: Offline navigation is already available for Android devices but iOS support will arrive soon too. You may not know this but using Google Maps offline in general is about the same as using it online. The only thing you need to know right away is how to actually save a map. You will need to be connected for this part of the process, at least until you download your first map. 1. 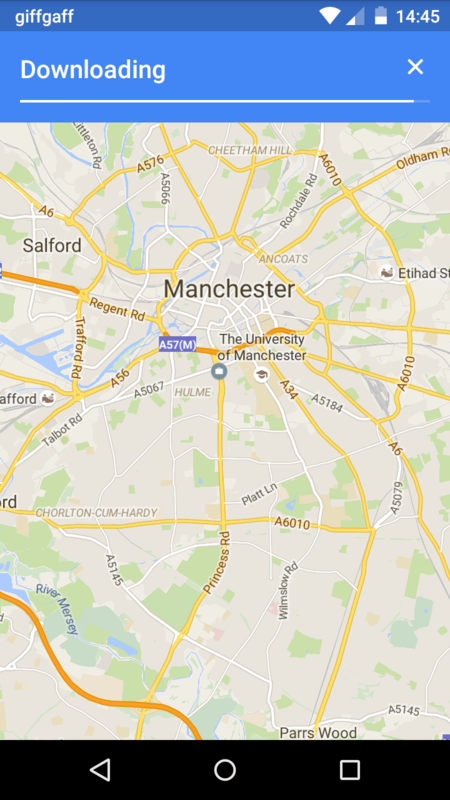 Search for any place in Google Maps. 2. At the very bottom of the page you will see the name of the place you searched. Tap on the location’s name and a panel with additional information should pop up. 3. Tap on the menu button at the top right corner. 4. Depending on your system, the exact options you see will differ but there should be an option that says “Download offline map/area” or something similar so tap on that to continue. 5. In the next screen, Google Maps will ask you to set the area you want to download. You can keep the original, zoom in or out as well as move around in order to get the exact map you want. There is a size restriction, of course, which Google will warn you about in the top left corner. Even if you miss it, Google Maps will not let you download the area offline if it is too big. Now that you have your very first offline map, you are ready to go out into the world and navigate the darkest corners of your city, or at least the ones you have actually saved for offline use. To navigate, all you have to do is search for a place and then tap on the navigation icon, like normal. 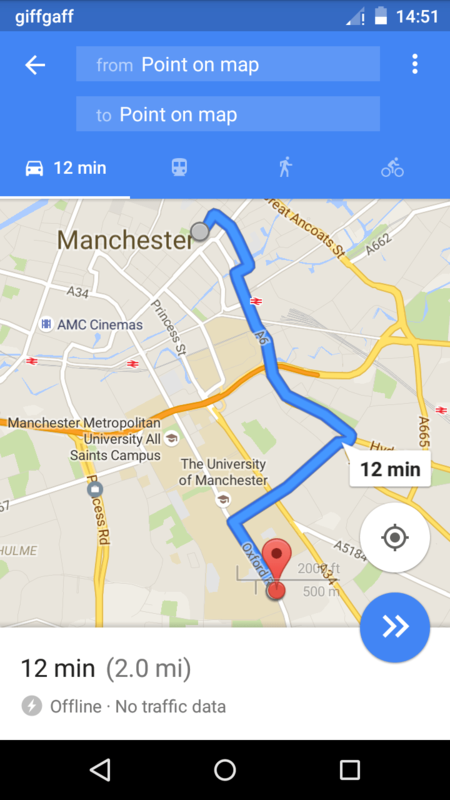 Google Maps will provide you with offline directions, but there are some limitations. First offline, you can only get driving directions so walking or taking the bus is out of the question. Furthermore, there will be information about traffic, alternate routes or even lane guidance. Google’s GPS assistant will give you turn-by-turn instructions but attempting to get into the lane guidance mode will show nothing (though the assistant can still be heard). Aside from navigation, offline maps can also be used to search for all kinds of places that Google stores offline. For example, you can search for a restaurant and get reviews and relevant information like opening times even when you are offline.